The Kitchissippi Museum: The Kitchissippi Museum live presentation! May 15th! The Kitchissippi Museum live presentation! May 15th! In my capacity with Elections Ontario, due to my crazy schedule, I expect to have no choice but to slow down almost completely on my history stuff for 5-6 weeks in May and June. However, I am happy to share that I will be making a pretty cool presentation on the evening of Tuesday May 15th, as part of the Wellington Village Community Association AGM. 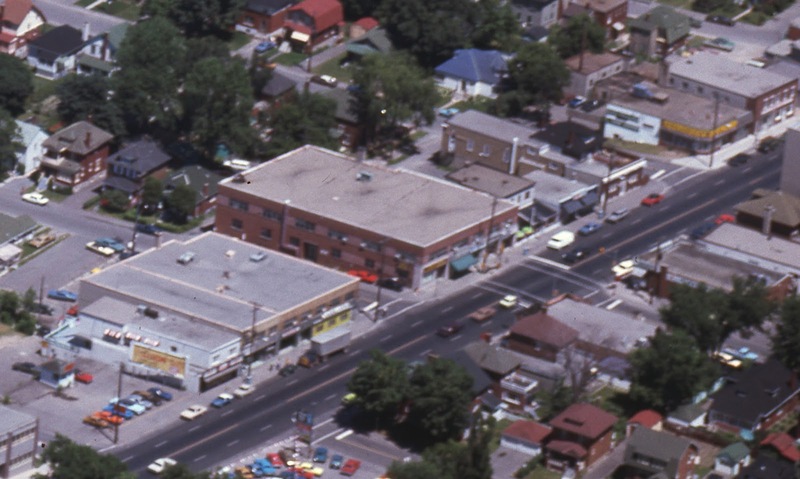 The topic of the presentation is something along the lines of "a photographic journey of the history of Wellington Street West", which will largely focus on the buildings and businesses of Wellington Street West between Holland Avenue and Island Park Drive, from the 1800s right up to the 1980s and 1990s. I'll have then-and-now type photos, and lots of cool stuff, photos of just about every block on both the north and south sides of Wellington. A lot of the photos have never been shared before, largely some things I have acquired in the last year or so. Probably 50-70 vintage photos in total. I'll share a few stories and tidbits as well, to describe the photos, though I won't get too deeply into detail, as I'm just one of several items on the AGM agenda. Likely about 15 minutes total. Our AGM will start at 7 p.m., and my place on the agenda will depend on the availability of the other guests. But all are welcome to attend, and as a bonus you can hear more about what we've been doing as a community association in Wellington Village! The AGM will be taking place at the Ottawa Bagelshop on Wellington, between Ross and Grange. Would be happy to see you there! Where were you in 1974?